Over three seasons in the field, from 1068 to 1071, Attaleiates witnessed Emperor Romanos IV Diogenes’ valiant, if ultimately futile, attempt to restore the confidence of Roman arms and stem the Seljuq invasions of Asia Minor. By following the judge in the field, we look at the imperial army under Romanos as a fighting machine but also as a technology of governance. 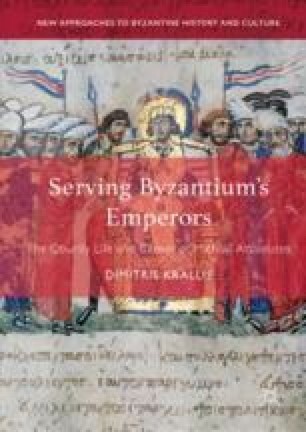 With Attaleiates in tow, Romanos defends his people but also brings Byzantine justice to them. Furthermore, we examine the logic behind Romanos’ campaigning, study Attaleiates’ place in the camp, and follow the judge and his emperor all the way to Armenia where the emperor’s political enemies betrayed him and in doing so shattered all dreams of imperial restoration in Asia Minor.